Modern Panama City is known as “The Business Hub of the Americas,” and it’s easy to see why. This must-see Central American destination is surrounded on all sides by Caribbean and Pacific beaches and filled with pristine rainforests and a thriving cultural mix. 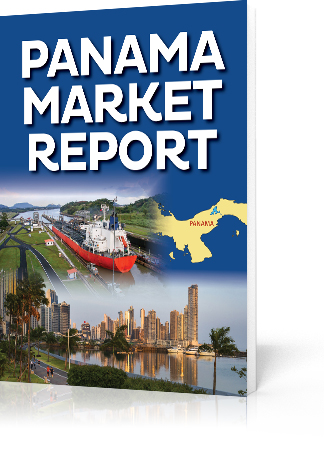 In this report, you’ll receive a brief but thorough overview of Panama’s history, government, and economy … and what it all means for you as an investor. You’ll explore fascinating features of this business-friendly country that draw investors and tourists alike. Not only will this report familiarize you with Panama’s stunning attractions and excellent cuisine … You’ll also learn why Panama is the perfect place for investing in one of the most rapidly growing real estate investment opportunities: timber. As a renewable resource, wood has been used for thousands of years … and demand doesn’t seem to be letting up! So, why teak? The prized timber harvested from teak trees is popular in Asia, Scandinavian countries, and the boat building industry. The need for this wood is SO GREAT that teak trees are being harvested at a rate 8-12 times the rate of replanting. That means teak prices, which rose dramatically over the last 20 years are expected to KEEP ON RISING … which is great news for investors! Like any investment niche, it’s a good idea to do your homework. There’s an open invitation with our friends at Teak Hardwoods to tour their plantation in Panama. Sometimes called the “bridge to the world,” Panama holds a myriad of investment opportunities within its narrow borders. You might not have heard much lately about this Central American country, but it’s been on our radar for a while. More and more vacationers have been drawn to Panama in recent years – from 2004 to 2014, the nation’s visitors essentially tripled. In fact, 2016 was Panama’s biggest tourism year ever, leading to the country being placed on Forbes’ annual top destinations list while also reporting a 22 percent increase in visitors during the previous year. A tropical isthmus bordered by the Pacific Ocean on one side and the Caribbean on the other, Panama is not only a nice place to visit … it’s a nice place to retire. 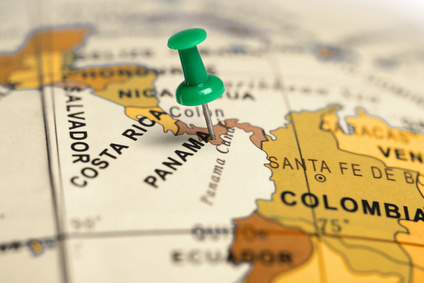 Panama has one of the fastest growing economies in the region due to increased foreign property demand. Because it is easy to apply and qualify, the country boasts one of the most popular permanent residency visa programs in the world … yet another reason retirees are flocking to Panama’s sunny shores. In addition, its economy has been bolstered by several long-term infrastructure projects, including the expansion of the Panama Canal. The first cruise ship passed through in spring 2017, opening the way for increased tourism. All this means that property prices and rental yields are on the rise. 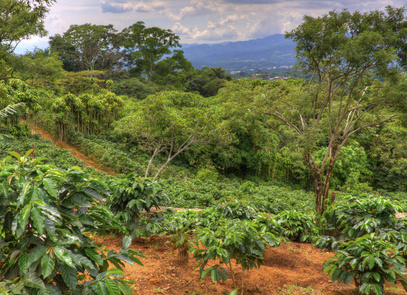 Panama’s calm, mild climate also makes it the perfect place for high-demand crops like coffee and precious hardwoods. We’ve highlighted several agricultural investment opportunities on our podcast, and most of them are in … you guessed it, Panama! Agricultural investing can be a great way to diversify your portfolio, protect your nest egg, become an international investor, and provide long-term security. Take some time to discover Panama! We’ve compiled a list of helpful resources below. Dig in and then … come on a field trip! 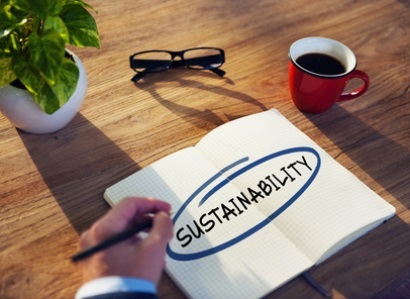 When it comes to cash flow from real estate, we LOVE “sustainable”. There’s nothing worse than vacancy and turnover to ruin your income stream. Of course, your income comes from tenants. And if the cost of living (food, gas, healthcare) is going up faster than their wages, it puts pressure on your tenants’ ability to pay rent. 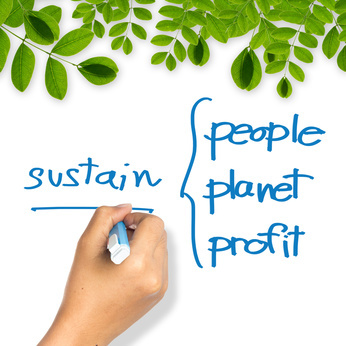 If it goes on too long, it becomes unsustainable…and that’s bad…for both your tenant and for you. Happily, there’s usually a solution to most of our investing dilemmas. What if your tenants actually benefited from inflation? And once planted, tended to stay in place for a very long time? That’s the topic of this episode of The Real Estate Guys™ radio show. Investing 101 says if you buy what everyone else is buying when they are buying it, you’re going to pay more…which potentially lessens your returns. It doesn’t mean you can’t make money. And the opportunity window isn’t an on/off switch. There are shades of grey. As you may recall, demand for real estate slowed, then temporarily died as we entered the Great Recession. As we’ve come out of the Great Recession, demand for real estate has gradually grown. And with that growth, it’s been harder (not impossible) to find the same quantity and quality of deals. Turnkey operators we talk to tell us their margins are shrinking and it takes more offers to land a property. Simply stated, it’s more competitive. Of course, right now it’s still worth doing in many markets…especially where you have properties available at or below replacement costs, relative affordability, low interest rates, and great property management. 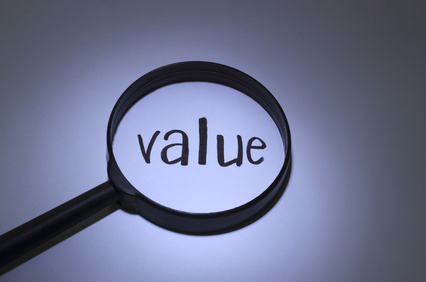 With all that said, another tenet of investing is to look for value before others see it. When the real estate market was crashing in 2008-10, our friend and Summit at Sea faculty member Ken McElroy (Robert Kiyosaki’s Rich Dad Real Estate Advisor) was on a shopping spree. During that window of opportunity, he acquired over $300 million of under-performing apartment buildings. He didn’t have a lot of competition, so the price was right. And he had the capital and operational savvy to immediately improve financial performance. So Ken and his investors did very well by buying undervalued assets before they were popular. If course, now in 2014, apartment cap rates (operating cash flow in purchase price) are lower because apartments become popular and more investors started competing for them…driving prices up. It’s a simple concept, but it still amazes us how many people like to wait to buy at the top…all the while ignoring alternative markets and product types that haven’t yet attracted mainstream interest. That’s a big introduction to tee up our conversation with David Sewell. David is a Canadian native, who has been living in Latin America for the last 25 years. A former Canadian naval officer, David has been around enough of the world to recognize opportunity when he sees it. In this case, he’s discovered an income producing real estate asset class that’s under-performing. And just like Ken McElroy, he’s found that by adding capital and operational savvy, there’s money to be made. Except we’re not talking about residential apartments. We’re talking offshore coffee farms. And after meeting David a few years back at a conference, we’ve been staying in touch. We’ve been fascinated by farmland investing and how it fits into a real asset investing strategy. He and his team find and acquire locally owned coffee farms in places renowned for ideal coffee growing conditions. They subdivide the farmland and sell it off to investors. A substantial portion of the sales proceeds are used to upgrade the operations and convert the farm from producing lower value commercial coffee to high premium “specialty” coffee. The idea is to reduce operating expenses, increase volume of production and raise the price per pound of coffee. When you put that all in the pot and brew it, you get a tasty cash on cash return…without leverage. To make it even better, there are some distinct tax and asset protection advantages to owning income producing assets offshore. And to top it all off, there’s a nice social benefit. When the farm operations rehab is done, the original farm operator makes more money, has better working conditions, enjoys more stability, receives employment benefits and ends up with better skills. So it’s not just the farm being fixed up… and the profit for the investors is more than just money. Whew! That’s a big title. But it’s fitting for a big topic – one that reminds us that the world is not only getting smaller, but is changing rapidly. Money, jobs and people are moving around the world like never before. And while fewer people may feel rich coming out of this recession, there are other good reasons many are still looking at international real estate – both as an investment strategy and a safe haven hedge against inflation. While we were at the International Property Congress in Miami Beach, in addition to talking big picture economics with National Association of Realtor’s Chief Economist Lawrence Yun and Federal Reserve Bank VP Thomas Cunningham (see our 11/21/10 show), we sat down and talked about who’s buying international real estate, where and why. It’s no secret that every country in the world has it’s own unique strengths and weaknesses. As the dominant economy in the world, Americans have long enjoyed a uniquely stable and high quality of life. It wasn’t necessary or commonplace to travel abroad. Even today, the majority of Americans do not have passports. However, the world is changing. 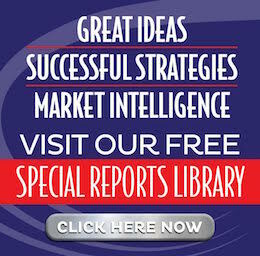 The US dollar, while still the dominant currency, is facing serious challenges. Job losses, deficit spending, an aging populace and huge unfunded entitlements are all piling up on Uncle Sam. Meanwhile, other countries are emerging as powerful economies in their own right – most notably China. But this isn’t an episode about the woes facing the US. These aren’t the first challenges and they won’t be the last. Every country has its ups and downs. This episode is about discovering how and why the dynamics of the world’s economies are changing the way people are approaching real estate. While we’re more traveled than the average American, we took the opportunity while in Miami to connect with Kevin Brass. Kevin has been covering the international real estate industry for over 20 years and his articles and analyses have been regular features in the International Herald Tribune and the New York Times. Today, Kevin writes for the International Property Journal. His work takes him all around the globe and keeps him connected with many industry leaders worldwide. In this episode, Kevin shares his perspectives on the changing landscape of international real estate. We also discuss some recent changes to the once vaunted tax and privacy advantages of Panama, who recently entered into an information sharing agreement with the United States. Tax and privacy advantages are often a prime motivator for people to acquire real estate and move to a particular country. Is what happened in Panama a portend of things to come? Of course, what would an episode on international real estate be without an interview with someone with one of those really intriguing accents? We were privileged to find someone who not only sounds really cool, but has some very useful things to share with us about the robust economy of Brazil. If you haven’t been paying attention to Brazil, you may be surprised to hear about what’s happening there. Hint: not everyone’s in a recession. Buone Feste, Boas Festas, Felices Fiestas, Frohe Festtage, Wesołych Świąt, Bonnes vacances, Sarbatori Fericite and Happy Holidays!